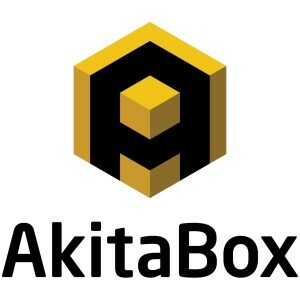 AkitaBox’s cloud-storage application allows building owners and operators to access, share and search digitized blueprints, manuals, maintenance records and building data via a location-based interface. Blackriver: Discover & share cycling experiences. At bluDiagnostics, our mission is to help women understand their bodies and take control of their fertility. We are passionate about providing women and couples with the data they need to conceive. Bonnie’s Balls makes deep fried dough balls stuffs with various fillings. C-Motive is dedicated to producing the lightest, most reliable, energy and cost-efficient electric motors and non-contact power transfer devices on the market today, using its breakthrough Capacitive Technology Platform™. CatCow is a creative studio based in Madison, WI that develops meaningful, differentiated, and authentic videos for companies big and small. We craft the message your customers want to hear and one that you can deliver on. Chefs For Seniors is a grocery shopping and in-home meal preparation service for senior citizens. Clock’d allows food and retail service employers to effectively manage their workforce and instantly fill open shifts. Cork Drinks – 30 free drinks, every single month. The ultimate rewards app. Fast Forward Forensics is committed to providing the most innovative products that will save you time and money and simplify your sample collection process by minimizing transfers and reducing the chance of errors. Offers a cloud-based video platform with video management, live streaming, scheduling and syndication tools for journalists. The Fit is a new style of gym where sweat and sophistication meet to bring you the best training experience in Madison. You will find is a friendly and supportive environment where YOU are the focus of our work. Everyone “fits in” at The Fit. Our clients vary from very beginner to very experienced and they come from a diverse range of professional and life backgrounds. Gift Guru is a free platform to assist users in managing all steps of the gift giving and personal outreach process for important occasions in the lives of friends and family. GymDandy is athletic space made easy. Fenrici Backpacks are durable, top quality backpacks that inspire kids for resilience and support the community of Pediatric Rare Diseases. Flavor Temptations makes cooking Indian dishes easy and convenient! The company sells Ethnic Spicery recipe kits containing premeasured, individually-packed spices, assembled together for Indian recipes. Health eFilings is committed to delivering innovative technology that enables healthcare organizations to successfully transition from volume to value based care and easily comply with complex CMS programs. Maker of a fashionable & fun hands-free bags that help girls carry their own small items, so moms don’t have to! West African cusine – catering and events. Creator of the Klover MiK 09 parabolic microphone and other audio/video solutions. 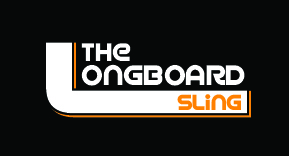 The Longboard Sling LLC is a manufacturer and retailer of a novel invention for carrying a longboard skateboard. Madison Eats Food Tours take you on a tasty adventure through Madison’s unique neighborhoods and our scenic downtown. Moonshot Insights. Know who to hire. Predict candidate performance so that you can hire the best people for your team, faster. MOSAIC is the unique online shopping destination for the modern global enthusiast, borne from the love of travel and a strong appreciation for unexpected treasures across all cultures. NCD Technologies is a start-up company specializing in diamond coatings for a variety of applications. Diamond’s superior properties such as extreme hardness, low coefficient of friction, high conductivity of heat and biocompatibility, position it as an instrumental technology in advancing applications across various industries. The Northern Star utilizes compass technology that allows firefighters to quickly re-orientate themselves in low or no visibility environments. NovoMoto is a Sustainable Social Enterprise that aims to provide clean, renewable, and sustainable electricity to communities in the Democratic Republic of Congo (DRC) and other sub Saharan African countries in the future. Pilot Training System® is a the world’s first virtual flight school that has demonstrated its ability to improve flight training and reduce costs simultaneously. The core technology is a high-fidelity weather simulation system that offers the most advanced weather simulation experience in the industry. The Federal Aviation Administration supported the development of the technology. Pussyfoot Tape is a super-strong tape that stops blisters before they start for women wearing heels, sandals, or running shoes. Education and wellness center with a vision of leading Dane County as the healthiest in the State of Wisconsin for Black Men to live and thrive. Agency that provides award winning social media strategy, social media advertising, content strategy, and marketing strategy. ShoU is designed to help you get and stay healthy through simple habit improvements. 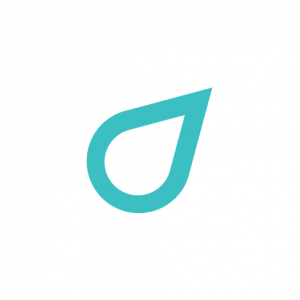 ShoU combines health tracking with easy access to trained dietitians. Sidekick’s intelligent digital assistant allows high school teachers to turn current problems of client organizations into standards-aligned, personalized curricula in seconds. SmartUQ is a powerful uncertainty quantification (UQ) and analytics software tool that incorporates real world variability and probabilistic behavior into engineering and systems analyses. StakeHaul is the social betting platform of the future. Stimmi is a Caregiver App and website designed to support children and adults with autism and other disabilities. Stimmi lets you create a safe and secure online Care Center completely customized for your loved one. We’re a solutions-based organization built by audio-visual professionals dedicated to improving the collaboration experience. Our mission is to provide immediate and actionable business intelligence to your business. We are founded with roots and experience within brand marketing, market research, technology development, and mobile e-commerce. Torq Labs provides movement mapping technology to prevent knee injuries. Tri 4 Schools is a non-profit devoted to getting kids active and healthy through swimming, biking, and running programs and events that fund school health initiatives. When the unthinkable happens, every second matters. Our sentinel system is always listening for the sound of gunfire in your building, ready to sound the alarm and notify emergency personnel, giving you precious seconds to secure your safety. Underbelly is on a mission to showcase locally owned businesses and organizations. Where is Care is a non-profit organization that connects community health services with those in need. We love how craft beer brings people together and invites us to think about what we drink. 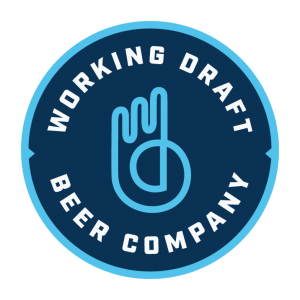 We started Working Draft Beer Company to create community, to celebrate the process of brewing and art, and to work draft by draft toward beers that delight.